And I love them. 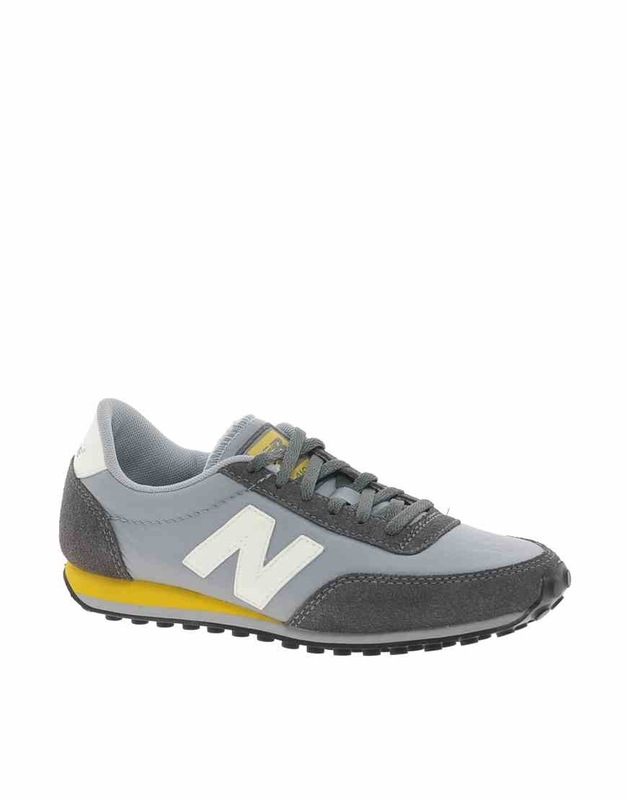 I actually had a pair of grey New Balance much like this in 1999, so these are a (very comfortable) walk down memory lane for me, as well as tapping into the sports luxe trend which is huge news for SS13. The key with trainers like these is to keep the rest of the look sophisticated – start wearing them with track pants and you’ll look like anyone’s PE teacher. Pheobe Philo, Creative Director of Celine and general mistress of sophistication works this look with aplomb, often pairing her trainers with tailored suits, oversized white shirts and polo neck sweaters. 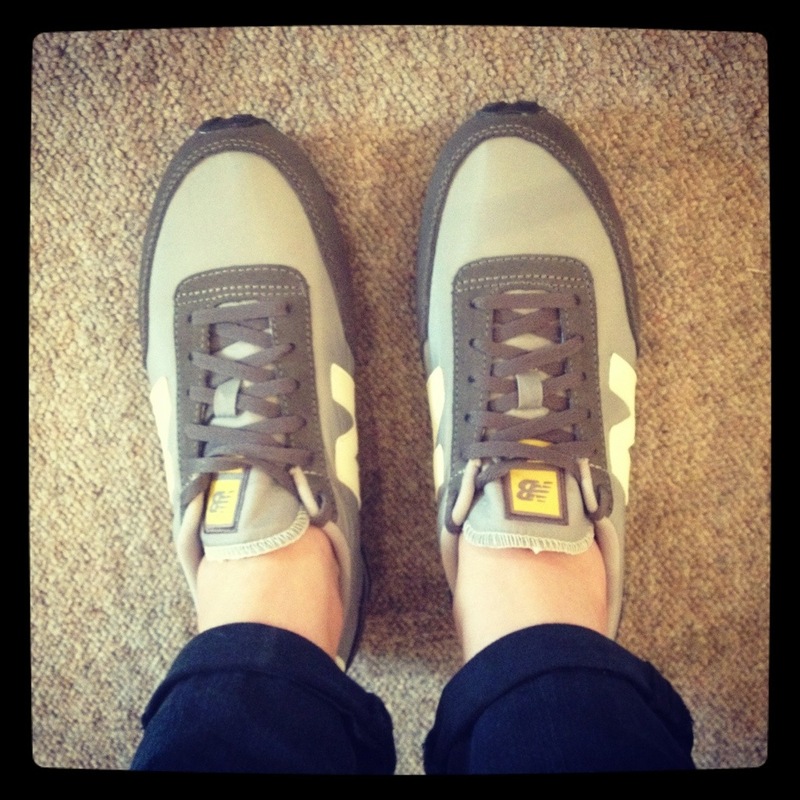 There are loads of great trainers about at the moment. I chose my grey and yellow pair because I thought they’d be easy to wear, but if you want something a little brighter there are plenty to choose from.